Keeping your air conditioner and heater in the best condition possible is an enormous responsibility. Whenever your HVAC system fails to perform properly, you and your family cannot enjoy your home to the utmost. At Steele Mechanical, Heating and Air Conditioning, our Hamilton Square heating contractors and air conditioning technicians are ready to help you with this obligation. Our heating and air conditioning contractors can install, repair, or replace any portion of your HVAC system. In every service that we conduct, our goal is to ensure that we provide our customers with the most rewarding and customized services possible. We will work our hardest to achieve your complete and total satisfaction. Call Steele Mechanical, LLC Air Conditioning and Heating today for all your HVAC related needs. Our courteous and polite staff would be happy to assist you in any way that we can. We can answer any of your questions and can schedule your appointment today. If your heater is over ten years old and in need of repairs, it may be time to replace it altogether. There are many benefits to replacing your heater including the fact that you will enjoy an enhanced level of comfort within your home, a sense of security and reliability, and improved energy efficiency. When you hire our Hamilton Square heating contractors, you are guaranteed to receive all of those benefits. Our heating contractors work with all types of heating systems including furnaces, boilers, and heat pumps. We can help you choose the best heater for your property and your unique needs. You and your family will thoroughly enjoy your new heater for years to come. 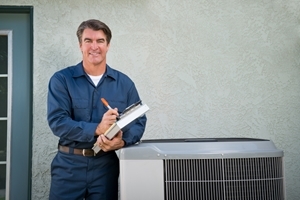 If your air conditioner is operating inefficiently or if it has failed entirely, you should contact a professional to conduct air conditioning repairs in Hamilton Square. Our Hamilton Square air conditioning company is ready to assist you in this regard. We have the skills necessary to provide for both your routine and emergency air conditioning repair needs. Our professionals consider themselves to be home comfort doctors. We will inspect your air conditioner and your entire HVAC system. Then our experts will prescribe you with the best means to resolve any and all problems present. Afterwards, your air conditioner will operate in the most effective manner. Our HVAC contractors provide a wide array of amazing services that can provide each of our customers with a truly customized home comfort system. One such service is a zone control system. If one area of your property is seldom used, harder to keep comfortable, or needs to be a different temperature than the rest of the house, then you can benefit greatly from a custom designed zone control system. "Came for estimate and install as promised. The install went off without a hitch. When I requested additional work ( paint and spack ), he agreed and it was done.He knows his stuff and works clean and neat. Hire him!" "We had a furnace problem that was going on for a couple of weeks and finally I searched through Yelp and found the reviews for Steele. I called at 6 PM and Scott was over shortly and fixed the problem for a very reasonable rate. I fully recommend Steele for any heating problems." If you are looking for a professional Hamilton Square heating contractor or air conditioning company, then please call 609-259-3210 or complete our online request form.